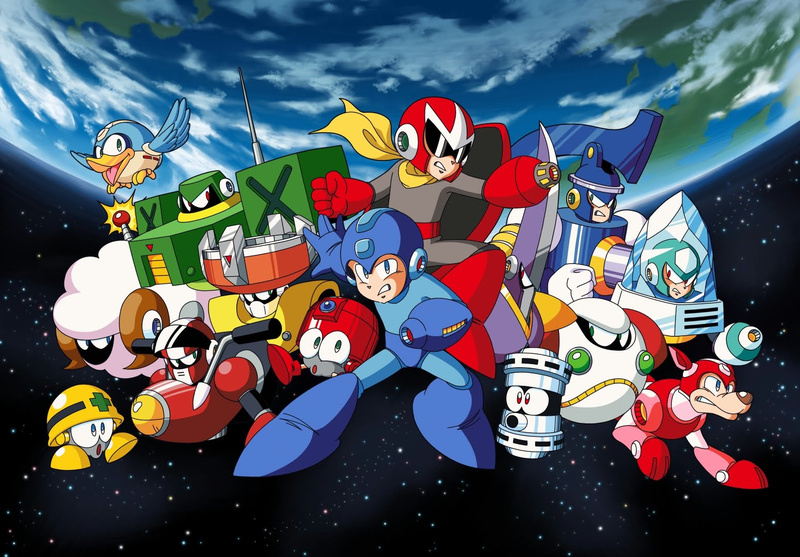 While the world cries out for a new Mega Man game, Capcom continues to whistle nonchalantly and look the other way - but thankfully the company isn't totally oblivious to the appeal of its famous android. 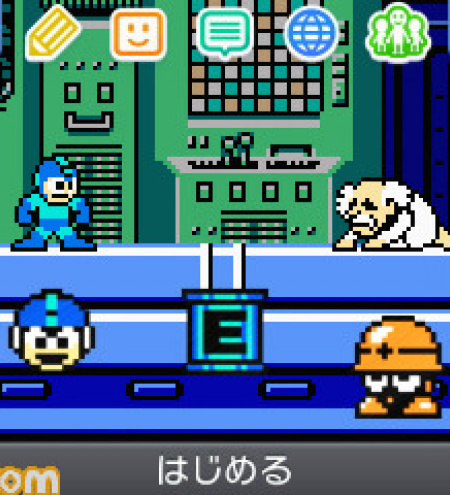 News that Mega Man is coming to Nintendo Badge Arcade should prove that. Starting February 26th, the Blue Bomber will be added to the roster in Japan. We're assuming he will make his way to other parts of the world as well, but there's no confirmation of that yet. Are you still investing time (and possibly money) into Nintendo Badge Arcade? If not, with the news that Mega Man is coming spark your interest? Let us know by posting a wee little comment below. Why can't I just buy them instead of placing my bet on the arcades? I'll never spend real money in the Badge Arcade and haven't booted it up in over a month. It takes WAY too long to load and is fairly pushy on trying to get you to spend money. I might try snag a few of these for free though. Well that's pretty nice, wouldn't mind seeing these internationally. 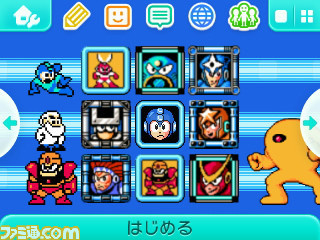 Finally I'll have a Megaman to pin to my Megaman folder! Finally!! So if this the first 3rd party set of badges or was there a monster hunter one I missed? I'd happily pay say, an annual fee for unlimited plays (a la Pokémon Bank). At least then, it would be possible to actually collect all of the badges without paying an arm and a leg. But I will not spend a cent on this app considering how it is being handled at present (it is utterly, utterly stupid to pay for the "chance" to win DLC; and I will not support this). I don't want to support the app by buying its themes either, as it will bring me no closer to collecting all of the badges that I want, and I don't want to give Nintendo my money for arguably their worst product ever made. I'll play it every day, but most days, I can't even muster a free play, and even when I get free plays, I struggle to collect enough badges that would be worth their money in plays if I had hypothetically paid for them. Not a day goes by when I don't curse that damn rabbit and the cursed orifice from whence he came. Cool, I actually enjoy the Badge Arcade, I haven't spent a penny and have almost 200 unique badges. It's a fun little time sink. @The_BAAD_Man it only loads long when it has updates to download, which is, well, normal for a game that has weekly updates. Also, great news! 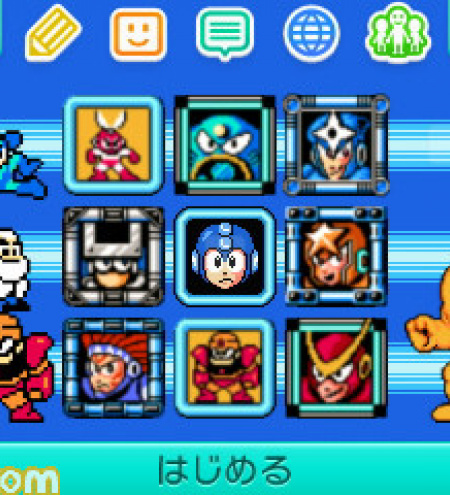 I need me some Robot Masters to tag my as-yet-untagged game folders. @noelemahc I understand that, of course. I just feel that for something designed to be played for a few minutes at a time, the loading/update times aren't fully justified. @The_BAAD_Man the loading times are generally around ten seconds. I think you can handle it. @Simbabbad Haha, of course I can Loading times really don't bother me. I guess it's because I don't play it every day, so an update is downloaded every time I actually do. I was skeptical of Badge Arcade but it's become an almost daily exercise for me. The rabbit has a great personality and I actually enjoy the process of catching the badges more than displaying them, though I do have pikmin all over my menu screen. I've only spent two dollars total (right around when I first got it) and have over a hundred different badges collected. The game is very generous with free plays and chain reactions can pay off in many badges sometimes. Looking forward to Mega Man badges! All I want is a Protoman badge and I'll be happy. The children who play with the badge stuff are good at expressing themselves in the comments above. If this comes west I'll be dropping many dollars as I did with the Metroid badges. If I ever spend money on this, I have too much money. Do people actually use this? I installed it, saw what it was and removed it. @ikki5 I've been playing it every day (except for Kirby promotions) since and I've had fun with it. It's not hard to avoid spending money and get all of the badges that you want. Now the themes are a whole different matter entirely. 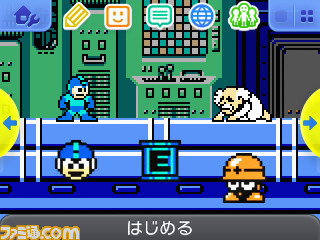 Sweet, Megaman will go great with the Gunvolt theme! I look forward to making my home page look very robotic. Some of those will be nice additions to my collection. @The_BAAD_Man It's too bad you don't play every day. The Practice Catcher game almost always generates at least 1 free play every time you use it. With some practice and skill, you can grab almost any badge (or badges) you want. I already have over 400 badges but I would gladly pay a few bucks to snag some these. Custom badges is where at is. Still, I don't see the point of this other than to waste screen space or novelty purposes. Tried it the other day. Though the shortcut badges are nice. It takes WAY too long to load and is fairly pushy on trying to get you to spend money. No it doesn't. No it isn't. @Bass_X0 I just timed it. From tapping the icon to the first dialogue with the rabbit, it took my launch day 3DS 3 minutes 9 seconds. I closed the game and reopened it. This time with no updates it still took 1:58 to open. That is completely unacceptable for a game like this. @CorruptPhoenix Maybe that's part of it. I have a standard 3DS XL. I guess it loads a lot faster on a New 3DS. @The_BAAD_Man I hope to upgrade to a New 3DS XL in the coming months as my R button doesn't work anymore. If it's faster, I might actually give the badge arcade another go.